Distinctive wines under $20 from small producers around the world. Locally, we spotlight labels which are small production, winemaker/owner wines. Their spark of creativity & entrepreneurship is driving Northwest wine into new and exciting territory. Our dynamic wine, sake & cider selection offers fresh choices every week. And we taste everything we buy first. 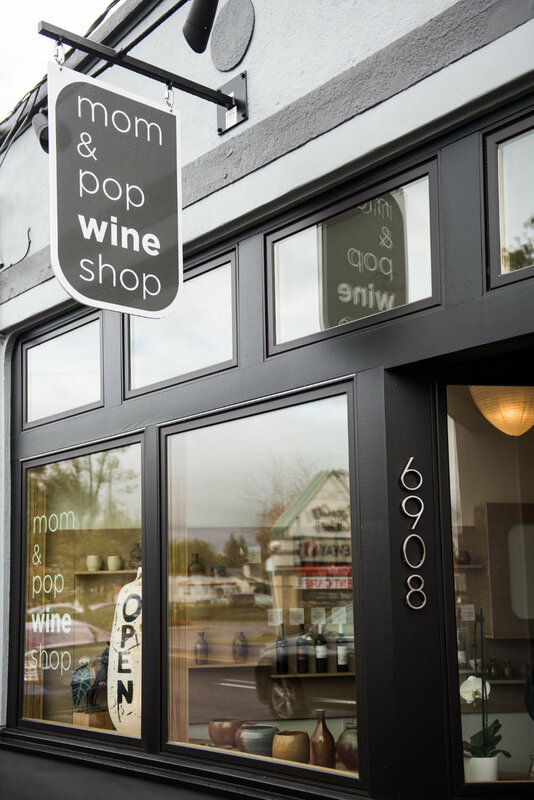 Most of our wines are not sold in grocery stores either, making our shop a popular destination for wine lovers who want to discover something new. Set up like a gallery, the wine display mingles handmade pottery as well as other local artists’ wares with detailed descriptions of each bottle to make shopping more fun and informative. EVERY Friday night we host a tasting of four new wines for $5 served with snacks. Wine, cider and sake by the glass are served daily with a frequently rotating selection of new choices. We are a pair of restaurant professionals (and a mom & pop) who bought our first house a few years ago in the Roseway neighborhood. As we settled in, we wished there were more shopping choices nearby, especially for the kinds of wine we drink-- affordable, quality, food-friendly wines that sit on our table with the meals we love to cook. We had talked about opening a wine shop for many years, but we never seemed to be quite ready. Finally in 2015 we found the right space and took a chance at starting a business. The outpouring of support from our Roseway neighbors has been so gratifying! We love living here and are delighted to work in the same neighborhood we call home.